At the first look, the warm, beautiful color of maple seed and the fine glasswork fascinate everyone. 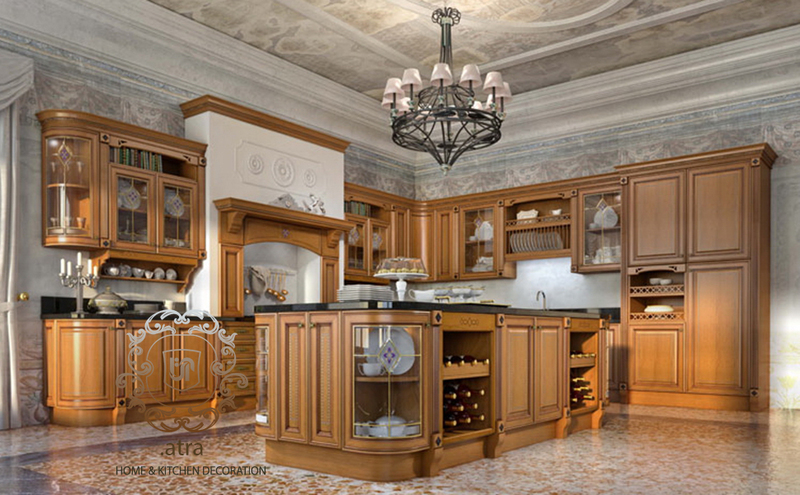 Like all classic designs, Milan offers great beauty and glamour. This design, made by the Mobil Clan SPA from Italy, is the only imported product, exclusively represented by Atra in the eastern Iran. The dye is Italian polyurethane, seamlessly performed via automatic system. In the dyeing process, the designs and patterns are printed on the wood. One of the reasons for their appeal, is their affinity with Iranian culture and taste, since it resembles Eslimi patterns, while creating great harmony in combination with wood and glass. The thickness of the wood is higher here. The curves performed here are one of the factors that make it unique, requiring sophisticated art and technology. In this Model, the polyurethane color has replaced polyester colors, being antibacterial, UV resistant and easy to clean. 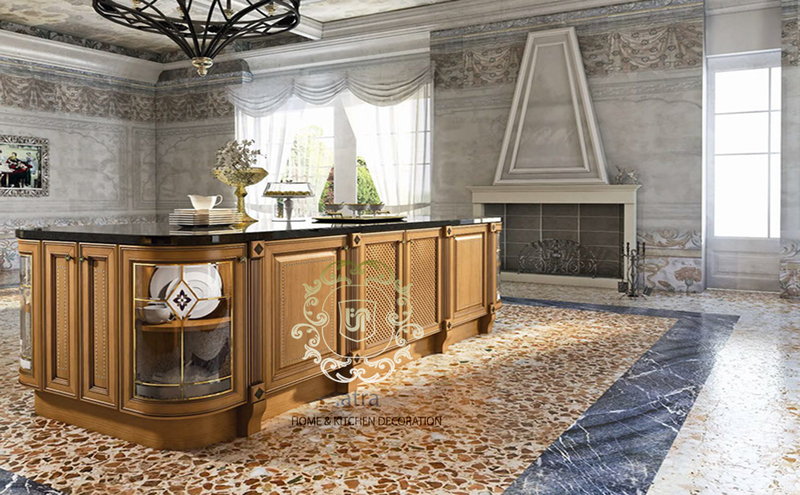 The use of quartz rock in the cabinet, counter and sinks strengthens this property since its most prominent advantage is being antibacterial and spot resistant and easily cleaned. It’s also abrasion resistant and sturdy. The interior walls of showcases are all wooden, with a lighting system of vertical SMD lights preventing shadowing.